Boat operators and persons with respiratory concerns are urged to exercise caution, in the wake of an increase in Saharan Dust in T&T. 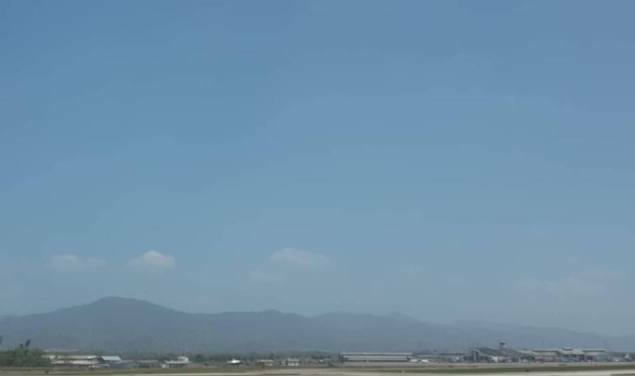 According to the MET Service, a relatively thick plume of dust reached the southern Caribbean islands on Saturday, and was at its maximum concentration yesterday. While it is expected to slowly begin decreasing by later today with continued improvement over the following days, caution is still needed. Those with respiratory and other health concerns are urged to take the necessary precautions to protect themselves. Marine craft operators are also advised to exercise caution, since the MET Service says the dust will strongly restrict visibility, especially during dawn, dusk, and night-time. This restriction it adds, will become even more severe in the vicinity of sea spray. Previous articleWATCH: Famalay Fun Day Games!